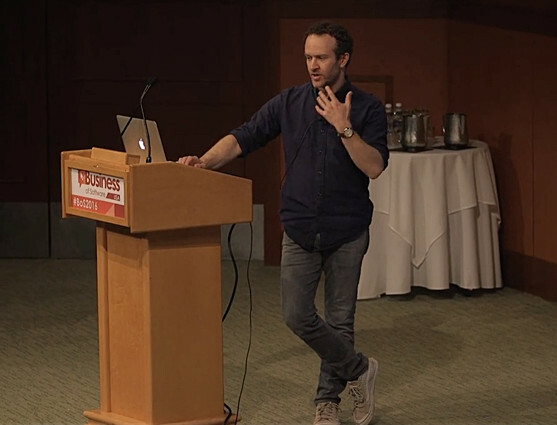 This month we've got updates from FemtoConf, Perth Games Festival, Webstock, iOSCon and a conference video of Jason Fried at Business Of Software USA. FemtoConf, the conference for small self-funded / indie software companies, has been announced for 2 - 4 March 2018 in Darmstadt, Germany. The conference will have talks by Mark Taber and Claire Suellentrop, but it focuses on meeting people and catching up with old friends in the indie software community. The conference is run by Christoph Engelhardt (aka @ITEngelhardt), a regular on the Bootstrapped.FM forums. Early bird ticket rates (€199) finish on Friday - today! Perth Games Festival is a free showcase of Australian made video games by indie game developers. Perth chiptune maker & DJ Rhetoric will be playing tunes for retro gaming ambience as well. It's on 25th November (this Saturday!) at the Perth Town Hall from 10am - 5pm. Webstock is confirmed for 12 - 16 February in Wellington, New Zealand. Webstock is aimed at the design and usability community, but has had a wide range of artistic & creative speakers including Amanda Palmer, Amy Hoy, Derek Sivers and Matthew Inman (aka The Oatmeal). iOSCon is happening again on 22 - 23 March at CodeNode in London. iOSCon is a conference for iOS and Swift developers that has been running since 2014. It has a particular focus on new language features. Early bird tickets are available for £395 (40% off) until January 30th. "As an employer and a business owner, I do not believe I’m entitled to anyone’s nights and weekends. That’s their time, it’s not mine." "We’ve pretty much always railed against meetings. I find them to be incredibly inefficient ways to spend your time." "Something we do and really feel very strongly in is asynchronous communication... asynchronous communication puts the pace on the receiver of the information. It’s not saying come look at it right now!" "One of the prerequisites for working at Basecamp is that you’re a good writer... If you can’t explain yourself, then it’s very difficult to work with someone like that." Showcase of Australian made video games by indie game developers. East Coast version of the festival of independent video games. Fiercely independent conference on tech security, electronic art and hacking. Hosted by the Chaos Computer Club for over 30 years.